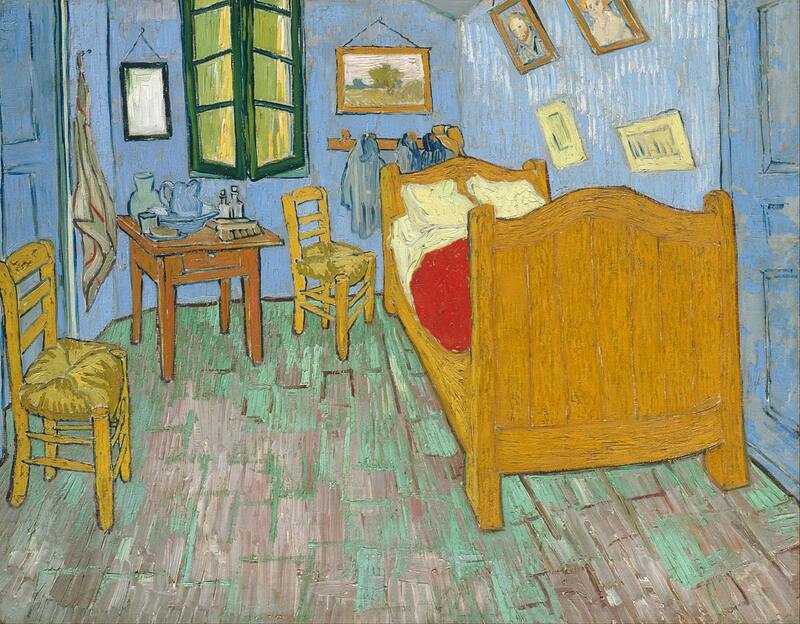 Van Gogh travelled to Arles in the south of France and stayed in the aptly named Yellow House, immortalised in his 1888 painting, 'The Bedroom'. The painting showcases the artists rejection of muted colours and conventional perspective, which was the preferred style of the Dutch artists of the time. The bright and bold use of colour, peculiar perspective and the unusual warped portrayal of objects, make this a hugely recognisable and distinctive artwork.